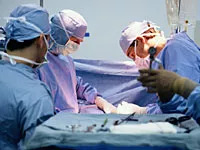 TUESDAY, March 27, 2012 (Health.com) — Older people with heart disease who undergo non-emergency procedures to restore blood flow to their heart generally have better long-term survival odds with bypass surgery than with angioplasty, according to new research published online in the New England Journal of Medicine. The study included about 190,000 men and women over age 65 who had bypass surgery or angioplasty—a far less invasive procedure—between 2004 and 2008. One year after the procedures, the survival rates for both groups hovered just under 94%. At the four-year mark, however, 84% of the bypass patients and 79% of the angioplasty patients were still alive. The difference in survival rates was consistent across several key subgroups of patients, including men and women, high- and low-risk patients, and those with and without diabetes, the study found. "There's been a shift over the last two years to PCI, and probably we ought to rethink that a little bit and reconsider cardiac surgery," says lead author William S. Weintraub, M.D., a cardiologist with the Christiana Health System in Newark, Del. Weintraub presented his findings today at the annual meeting of the American College of Cardiology, in Chicago. Bypass surgery involves taking a blood vessel from elsewhere in the body and grafting it to the heart to bypass a blocked artery. Surgeons must cut open the patient's breastbone and spread apart the ribs to access the heart, and a full recovery can take up to 12 weeks, including an initial one-or two-day stint in intensive care. Angioplasty, also called percutaneous coronary intervention (PCI), has become an increasingly common alternative to open-heart surgery largely because the procedure is less taxing, Weintraub says. A balloon-tipped catheter is threaded into the heart via an incision in the groin or arm, and the balloon is then inflated to flatten artery blockages. Patients don't need general anesthesia, and they typically go home the next day. Several randomized controlled trials have compared the effectiveness of angioplasty and bypass surgery, but most looked at highly specific subgroups of patients, the authors note. The new study was designed to "better reflect real-world practice," they write. How do cardiologists and surgeons decide which procedure is best for a certain patient? Weintraub says a wide range of factors come into play, including the distribution of blockages within the heart, the severity of the patient's symptoms, and his or her overall health. Very elderly, frail patients aren't good candidates for bypass surgery because the procedure puts such a huge strain on the body, for instance. At the same time, the accumulating evidence suggests that bypass surgery may be preferable in patients with more advanced heart disease. "The sickest patients would seem to do better with surgery," Weintraub says. "The hard part is, what's the dividing line." Identifying that line is a complex process, so the new findings may not be relevant for every heart patient. Nor do they mean bypass surgery is the better option for everyone. "This is a decision that has to be made one patient at a time," Weintraub says. "We don't make that decision to send somebody for coronary surgery lightly. That's a big decision." Is It Too Early to Get a Flu Shot?